This is an ebook covering every aspect of putting on a successful prom. This guide is for you if you’ve been thrown in at the deep end and you’re not really sure how to organise your upcoming ball. It takes you through the entire process of planning, advertising, funding and running an excellent event. The guide has been written with the assistance of accomplished organisers from The University of Birmingham and Cardiff University who have been responsible for many fantastic medium to large- scale events. Please leave your email address below to download it and keep up to date with what’s going on at Promaholics! Are you on your prom committee or simply passionate about proms? We’re currently looking for guest bloggers to share their experiences as they get ready with our readers. Please tick the box on the form if you’d like to write for us occasionally. You’ll get your writing seen by thousands of students along, it looks great on your section 10 and you’ll earn free photos for guests at your prom! 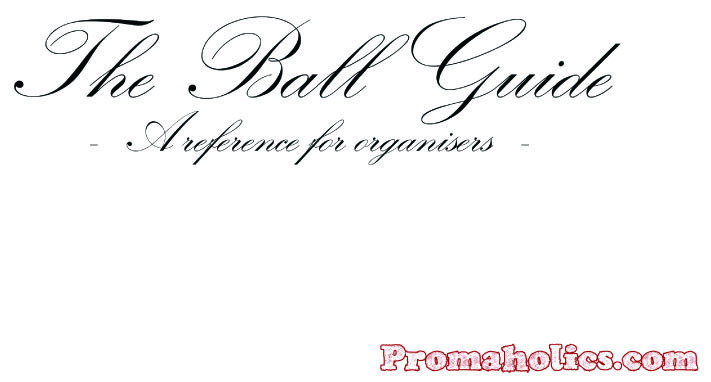 This guide is provided by the lovely ball photographers at Peasy Photos.